Specialises in serious and complex cases of fraud. James Waddington specialises in serious and complex criminal fraud. During the last 20 years, James has been involved in many large and complicated fraud prosecutions. In recent years, he has usually appeared as the lead advocate for the prosecution in tax evasion, financial services or other commercial fraud cases. During the last five years, James has been involved in several SFO investigations and trials which concern allegations of serious fraud in the Business and Banking sectors. Ongoing cases concern large scale capital raisings or alleged benchmark interest rate malpractice at international banks. Two of these cases have also involved parallel proceedings in the Commercial Court and the Upper Tribunal. James’s other current instructions concern investigations into direct and indirect tax evasion by either organised criminals or members of the legal and accountancy professions. These cases concern a potential loss to the Treasury of £45 million and £800 million. James has advised on tax and other types of fraud within the civil jurisdiction. He has led for Her Majesty’s Revenue and Customs in several tax fraud cases before the First Tier Tribunal. James also has lengthy experience in relation to this area of the law. During 2013, he appeared in two large confiscation cases which arose out of trials he prosecuted. There were orders of £13 million and £15 million. In relation to one of these cases, the full sum, including £10 million in hidden assets, was recovered. His cases usually have an international element to them. Consequently, he has considerable experience in dealing with cross-jurisdictional issues in relation to the obtaining of evidence and extradition. James is on a panel of counsel used by a leading national retailer for its non-financial regulatory work. He is currently instructed to defend prosecutions for consumer protection offences and fraud in respect of a services company. Previous cases include defence of a Soho production company for alleged breaches of advertising regulations. James has been on the List of Specialist Regulatory Advocates in Health and Safety and Environmental Law for several years and has acted for many London local authorities in criminal courts and in the High Court (QBD) in applications for injunctions to prevent nuisance. He has also acted and advised in many cases brought by the Security Industry Authority. James provides advice on intellectual property crime to diverse rights-holders with a particular expertise in on-line sales and distribution. James has appeared in the Administrative Court in relation to his criminal cases. A recent example concerned the lawfulness of search warrants. Qualified to accept instructions by way of Direct Access. R v. Dosanjh and others  1 WLR 1780 concerning the point of principle as to whether length of sentence for the common law offence of conspiracy to cheat the public revenue should exceed the maxima for comparable statutory offences of fraud. The main defendant was sentenced to 15 years imprisonment whereas the maximum for conspiracy to defraud is 10 years. The Court decided that there was nothing wrong in principle with the current sentencing regime in relation to cheating the public revenue which had a clear and recognised role to play in the prosecution of the most serious tax fraud cases. Choudhry v. Birmingham Crown Court and HM Revenue and Customs; Hanson v. Same, 172 JP 33, DC: This case concerned the procedure adopted by the Crown Court in relation to the taking of sureties as a condition of bail. R v. Castillo  2 Cr App R (S) 201 36: This case concerned the principles to be applied in determining the length of period in default of satisfying a confiscation order. R v. Apabhai (Hashib); R v. Apabhai (Esa); R v. Amani, 175 JP 292 CA: This case was about the meaning and admissibility of bad character. R v. Spear, 1995 Crim App R (S) 242. This case concerned the criteria to be applied for the imposition of a discretionary life sentence. Investigation and forthcoming trial of allegations of rigging the benchmark interest rate EURIBOR by employees at Barclays and Deutsche banks. Investigation into allegations of rigging $US LIBOR by management at Barclays Bank. Investigation into allegations of fraud in relation to two major capital raisings by Barclays Bank in 2008. Forthcoming trial on allegations of fraud by a pensions advisor on his clients arising out of tax rebates obtained through SIPPs. Investigation into an alleged £800 million fraud concerning the abuse of tax relief granted under section 131 of Income Tax Act 2007 and arising out of arrangements that have allegedly been misrepresented to HMRC as a genuine investment opportunity for High Net Worth investors. Trial of four defendants in relation to an alleged £45 million VAT fraud arising out of services provided by a company in the payroll business sector. R v. Ronnie, Barrington and Ball  This case concerned fraud by the CEO of JJB Sports Ltd and perverting the course of justice by two others. R v. Sandeep Dosamjh & 6 Others  and R v. Gurmail Dosamjh & 6 Others . James was the lead advocate in these two trials arising out of a £60 million VAT fraud carried out by the fraudulent trade in carbon credits. The law was changed to prevent carbon credits being utilised in this way again. R v. Ashraf . 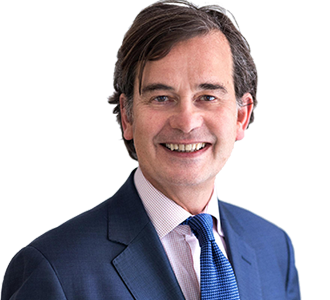 James was the lead advocate in the prosecution of defendant extradited from Dubai to face trial for his part in a £45 million VAT fraud carried out by the fraudulent trade in telephones. Face Off South Ltd v. HMRC  and Outkey Trading Ltd v. HMRC . James was instructed by HMRC as lead advocate in these unsuccessful appeals brought by these companies before the First Tier Tribunal in relation to the refusal of HMRC to allow input tax claims for several million pounds.